Are you interested in bidding on one of the high-quality camera’s found on QuiBids? From the simpler “point and shoot” cameras, to the more complex and feature-rich ones, QuiBids offers a great assortment to choose from. The hardest part just might be figuring out which camera is best for you. Below is our comparison of two very popular cameras, the Nikon J1, and the Sony NEXC3. The Nikon J1 has the ability to record movies at a higher frame rate (1,200 fps) which gives it the ability to capture moments, such as sporting events, and play them back in super-slow motion. The Sony C3 does not have this capability. 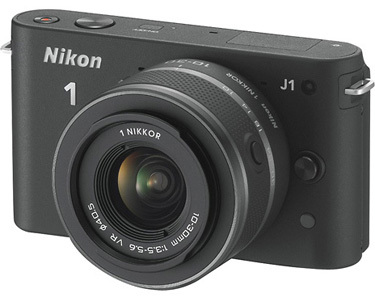 The Nikon J1 can shoot much higher resolution movies. It films video in full HD 1080p at 30fps, whereas the Sony C3 only shoots movies in 720p at 30fps. Continuous Shooting refers to a camera’s ability to take several shots immediately one after the other. This mode is ideal for high-activity action shots. In this aspect the Nikon J1 (60 fps) dwarfs the Sony C3 (5.5 fps) with 11x faster continuous shooting! Autofocus is the camera’s ability to automatically focus the lens on a subject for you. The Nikon J1 seems to have faster autofocus for both photos and videos. The Focus Point refers to the camera’s ability to set focus accurately within the frame. The more focus points that a camera has, the more flexible it can be when determining what object to focus on. The Nikon J1 has 135 focus points, which is much more than the Sony C3‘s 25 focus points. The Nikon J1 has a bulit-in flash, which can be useful for taking indoor shots where there is not much light. On the other hand, the Sony C3 supports an external flash, which typically produces better looking flash images. A faster shutter speed allows the photographer to capture fast moving objects, such as cars, without the risk of blur. The Nikon J1 has a 4x faster max shutter speed than the Sony C3, so there’s much less of a risk for blurriness with the Nikon J1. According to Snapsort, the Sony C3 has more than 30% better image quality than the Nikon J1. Additionally, the Sony C3 can capture around 60% more detail in photos. It also has greater color depth and higher true resolution. 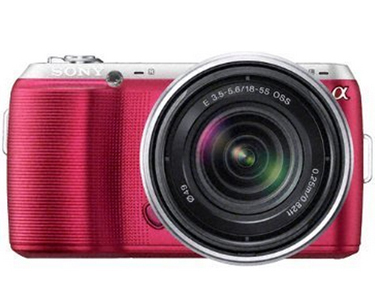 The Sony C3 has the capabilities to take a wider range of photos than the Nikon J1. The Sony C3 can combine multiple photos together to create a wide perspective panorama shot. It can also take 3D photos. The Nikon J1 can do neither of these things. The Sony C3 has a more than 2x higher resolution screen than the Nikon J1. It’s also around 20% lighter, weighing in at 225 g, while the Nikon J1 weighs 277 g. However, the Sony C3 may be lighter but the Nikon J1 is around 10% smaller and thinner. The Sony C3 also has a flip-out screen, while the Nikon J1 does not. –Kevin Elliot, Category Manager – Electronics at QuiBids. Which camera do you think is the winner? The Hottest Products of the Summer!